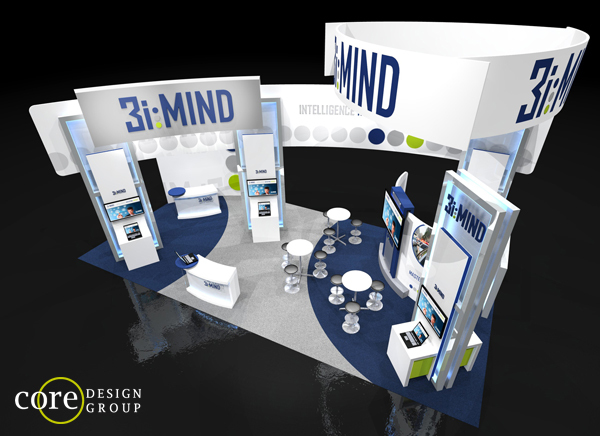 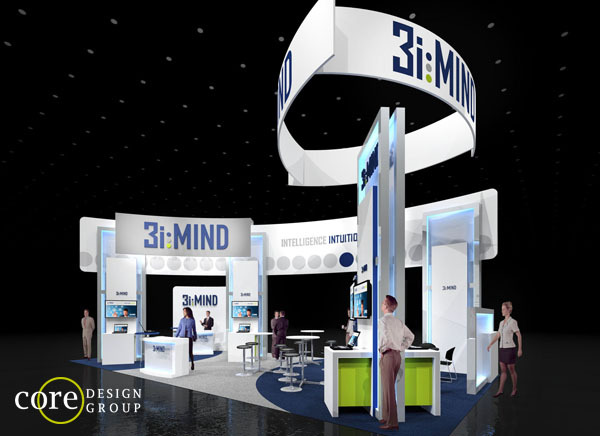 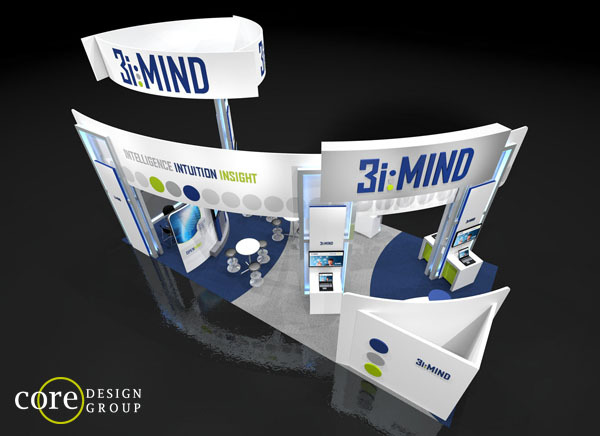 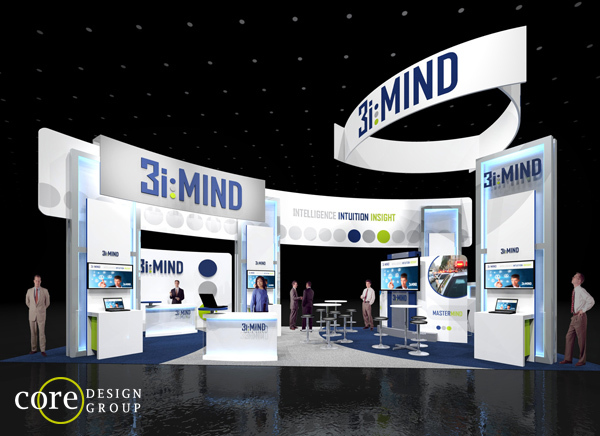 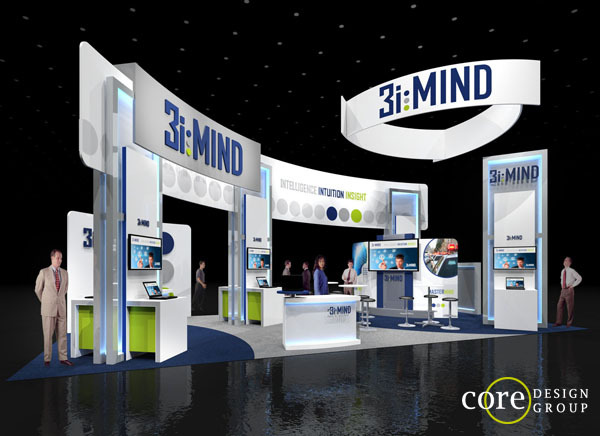 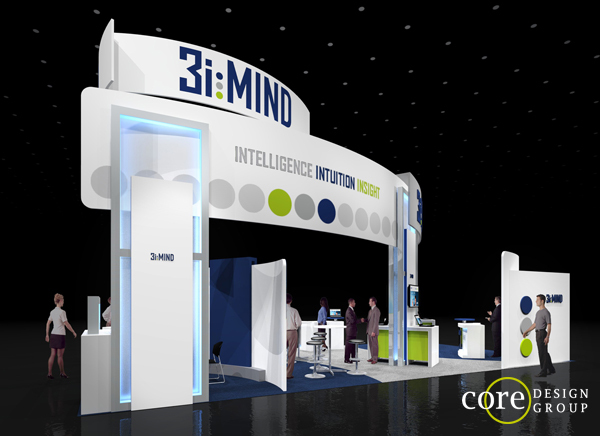 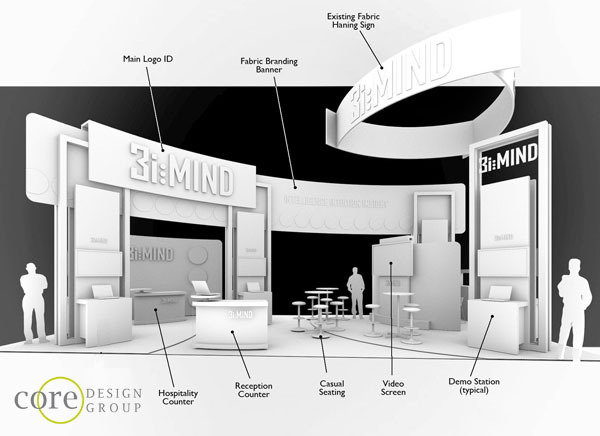 3iMind’s 20×40 booth to be used at multiple shows uses a good blend of brand while staying clean and inviting. 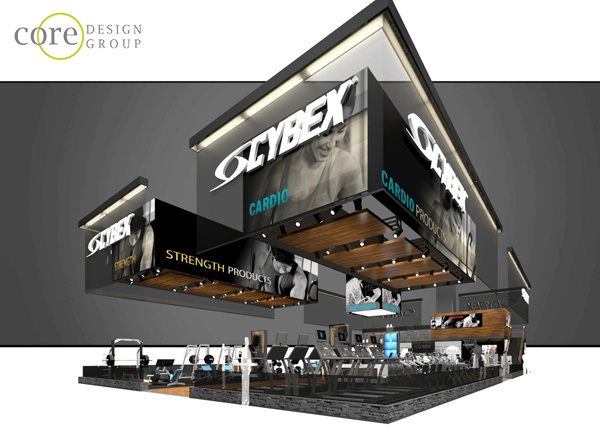 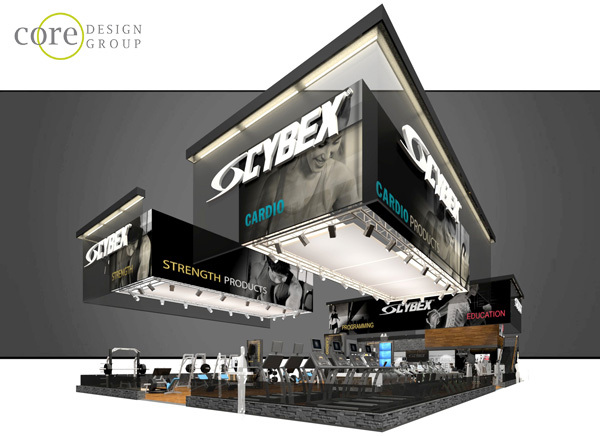 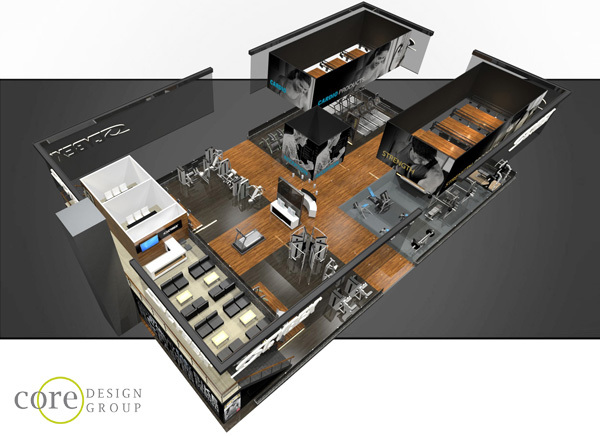 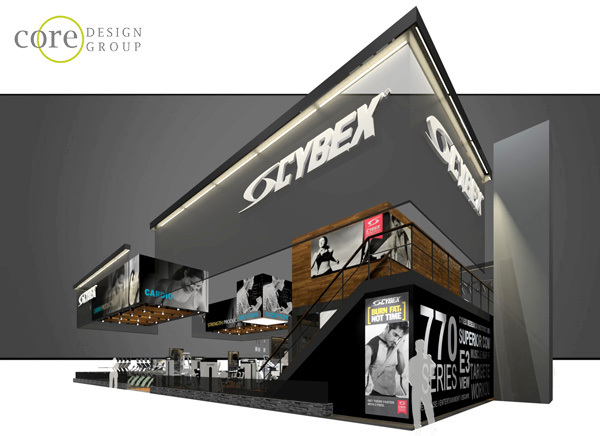 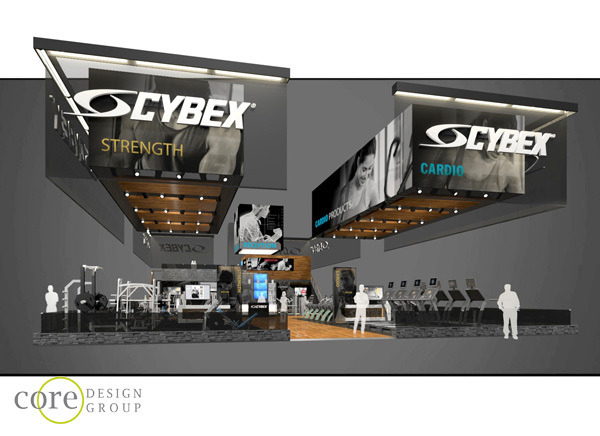 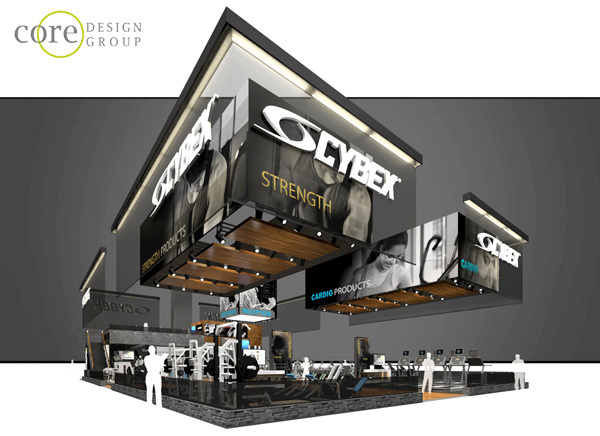 Cybex’s booth for IHRSA 2013. 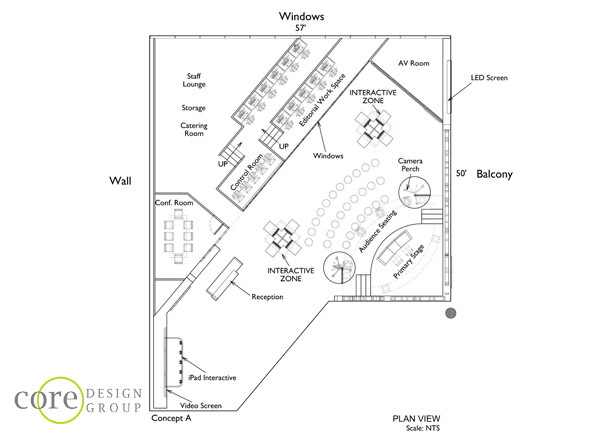 Warm and inviting space to showcase new products. 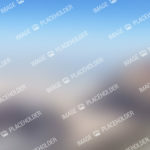 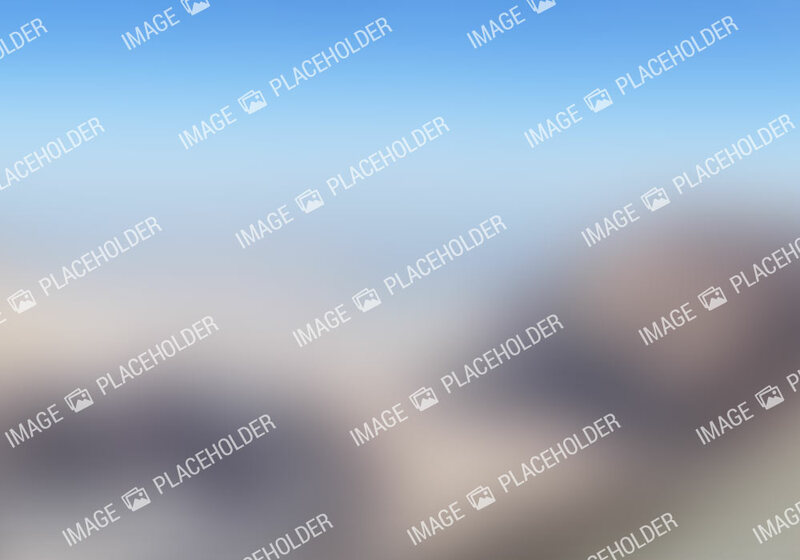 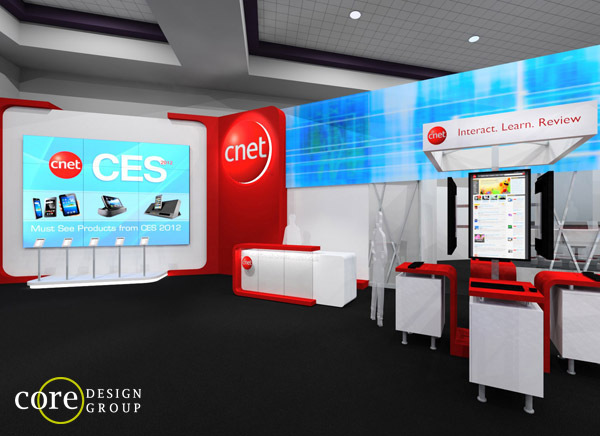 Features include double deck large and overhead graphics. 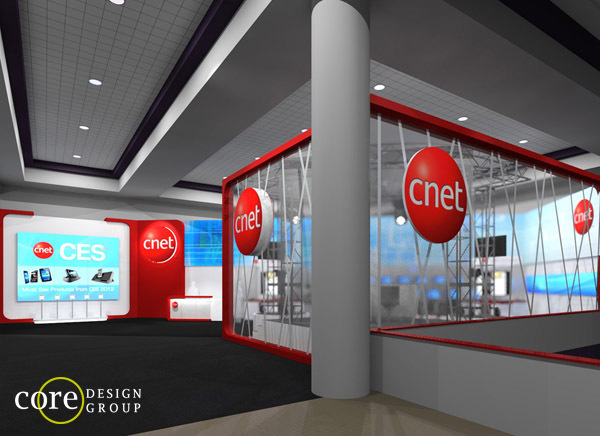 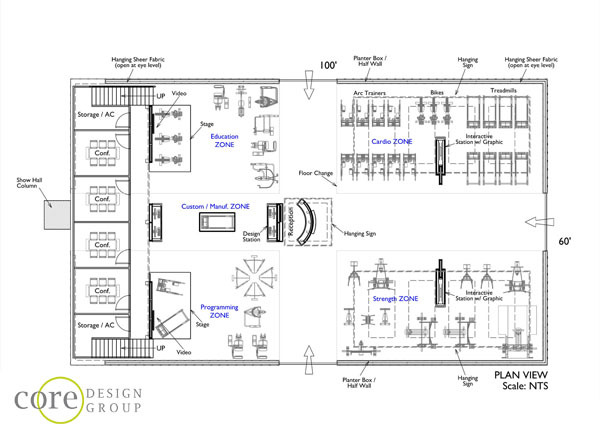 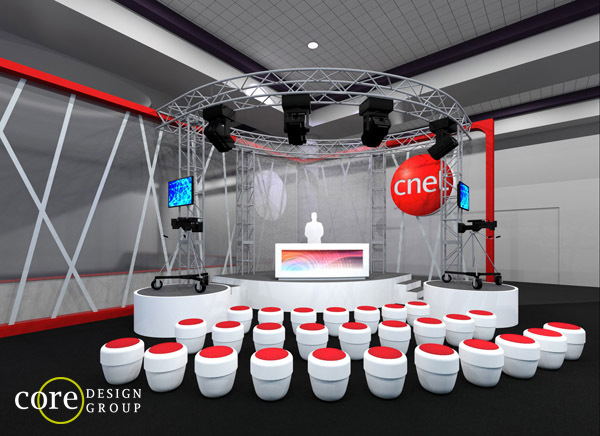 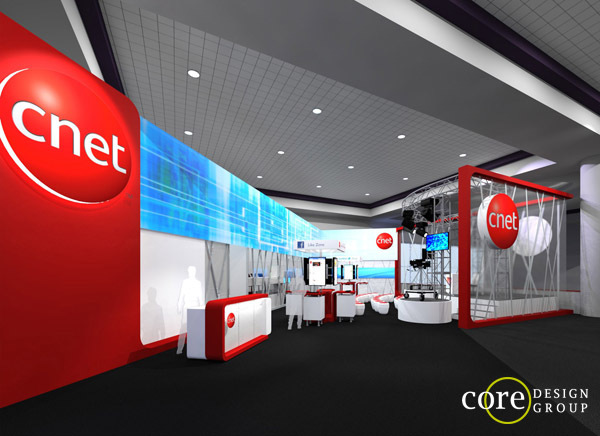 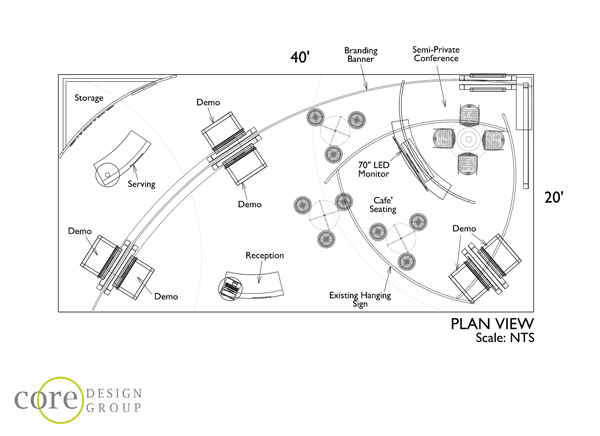 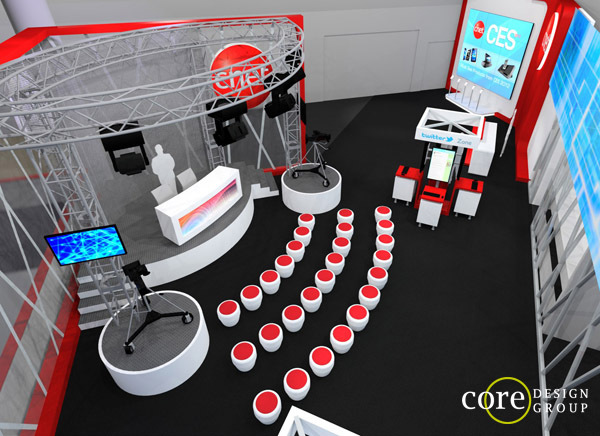 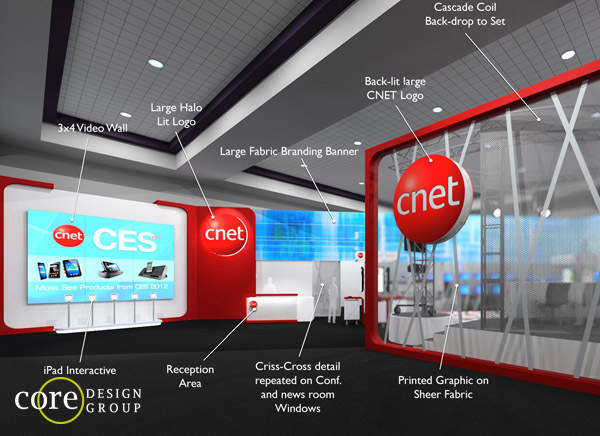 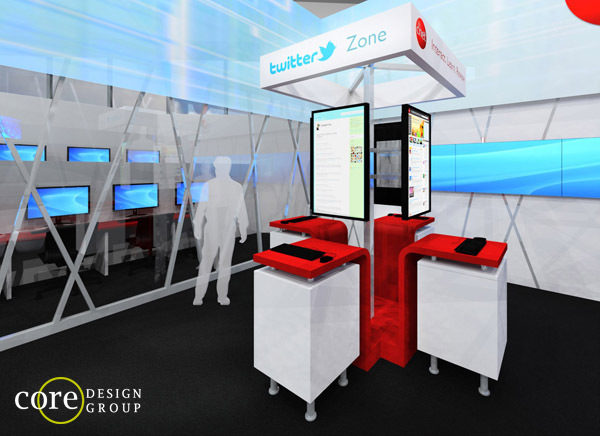 Design concept for the CNET’s broadcast set at CES 2012. 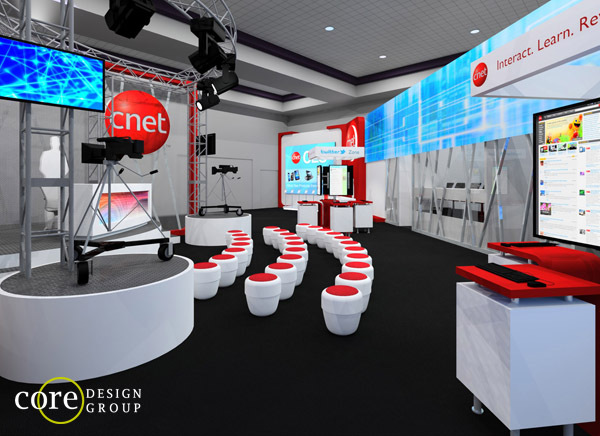 This breathtaking space used to broadcast and educate from the show floor about the latest technology.